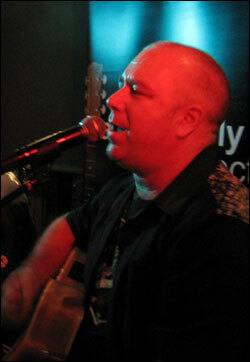 Bonz aka Paul Bonsor has been part of one of Adelaide’s leading duo’s Acoustically Incorrect for over 7 years. Bonz is now a solo artist in his own right, taking his quality vocals and sweet sounding acoustic guitar to the local scene. Covering a wide range of artists such as Ben Harper, Pete Murray, Oasis, Pearl Jam, Powderfinger, Van Morrison and Michael Buble in his own unique style. Bonz is perfectly suited to the Sunday sessions at your local to acoustic sounds for your corporate function or wedding.